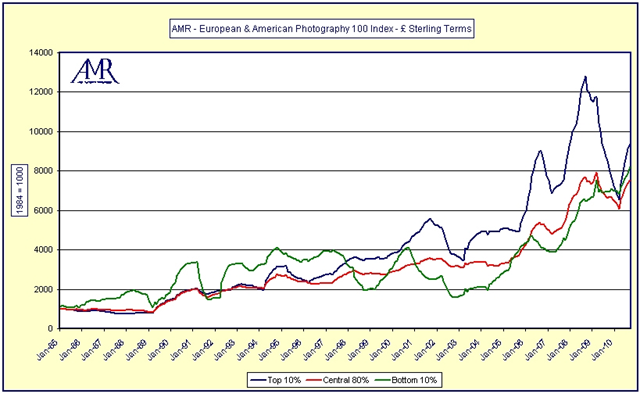 The mainstream of the photography market [central 80%] peaked in September 2008 then fell by 21% in the 18 months to March 2010. The top 10% of the market, where prices routinely climb steeply in good times, also peaked in September 2008, but by March 2010 this top sector had almost halved. All sectors of the market are now recovering fast and the long-term growth of 7% – 8% once again seems like a good bet.